Fit into my 1995 1.8 perfectly, worth bearing in mind that the front indicator lenses are tinted orange so you won't get the silver look without repla.. Warning, these dont fit the indicators on mk3\'s. Editors Note: Sorry you have had trouble, the bulbs you have bought are only listed under the Mk1.. disappointment!!!!! 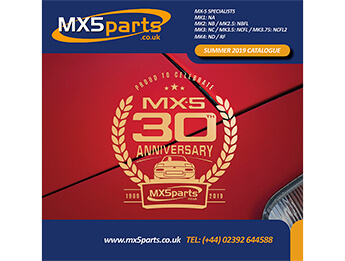 expected better services from mx5parts as i have ordered more thaan 200GBP worth products. these bulbs (silver ones ) don\' t fit ..
As you have already probably read, these bulbs are not the brightest I have ever seen, infact the rear indicators in clear lens are very poor and when.. I have bought these and wish I read the reviews 1st. I have had to buy another set of amber bulbs to replace them ( Saves 3 points on my Licence ).. Purchased two sets of these for my new clear rear lights. One set for the reverse lamps and the other for the indicators. As with my review on the sil.. I have used a set of these for my front indicators, after having removed the orange lens from inside the sidelight/indicator housing - gives the front.. These are a LOT cheaper than most others available. I needed them becuase I've wired my rearguard fog lamp into the O/S reversing light position and o..
A bit disapointed, i bought the amber bulbs but it doesnt fit in my 93 miata ! Those bulbs have only one electrical pin on the bottom of the bulb, b..